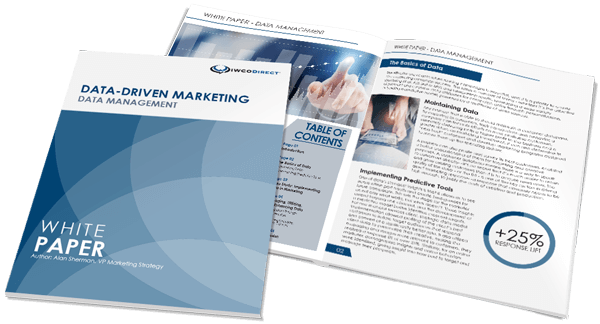 We’re back with another direct marketing case study. Today we’re focused on a financial services provider, and its efforts to increase requests for personal loans through the strategic use of direct mail. All direct marketing offers have a certain shelf life, after which performance becomes stale. Determining when and how to refresh your offers can be the difference between the sweet taste of success or the bitter taste of declining return on marketing investment (ROMI). A major provider of personal loans had used a robust targeting model to identify and reach new prospects. Response was consistent, but performance over time had become flat. In addition, there was little difference between control packages, which was most likely responsible for an overall lackluster performance due to response degradation over time. Faced with these realities, our client challenged us to find a way to improve overall package performance and increase Gross Response Rates. We specifically needed to develop, test and deploy a number of new packages that could be mailed in rotation without diminishing response. Along with the new creative, we proposed an annual test plan that included format and message testing. Our solution included a methodical and disciplined approach to creative testing that combined both single variant and innovative package tests. The results of multiple single variant tests could then be combined to create stronger and better performing control packages. Testing was accomplished through representative sample selection in accordance with the client’s model tiles. Results from each test were measured and specific variables were reviewed in order to see what segments of the population responded to the package offer. Upon analysis, the initial results showed single message points that improved response as much as 48%. Format tests provided additional lift, sometimes as much as 28% to 40% over control. The combination of format and message testing allowed us to provide new control packages that synthesized both message and format elements for optimal response. In addition, we were able to help our client establish a number of new market-tested (and proven) packages that could be mailed in rotation for maximum ROMI. Further testing continues to this day.